The Cincinnati Public Library says a plan to give children backpacks of food for weekends is off to an excellent start. Library branches, in partnership with the Cincinnati Freestore Foodbank, are hosting summer feeding sites to make sure no child goes hungry. Over 25 percent of children in Ohio are considered hungry or “food insecure,” according to a study by Feeding America. 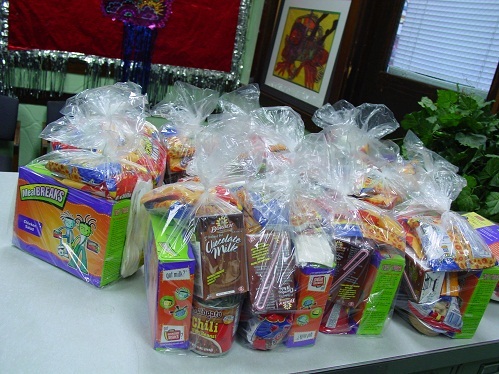 Last month the Library decided to provide backpacks of food which children could take home on Fridays. This food is in addition to regular weekday meals at library branches throughout Cincinnati. Backpacks ensure that needy children can have meals all week, and cut down the gaps in coverage that are so common when summer arrives. During the school year children have access to free and reduced-price meals through the federal school lunch and breakfast program. They also have access to backpack programs through their school. During the school year the Freestore Foodbank of Cincinnati runs a backpack program called the “Power Pack.” When summer comes and school is out, a replacement is needed. Article first published as Backpacks Fight Hunger in America on Blogcritics.